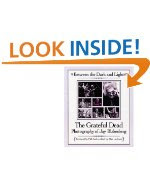 This is sure to make a cool gift for the Grateful Dead fan. With its great collection of images I'd think it would be great as a "coffee table book" or display almost anywhere in the house. I just recently learned The Dead is on tour and if you could get tickets to a local event, that too would make a nice gift idea.